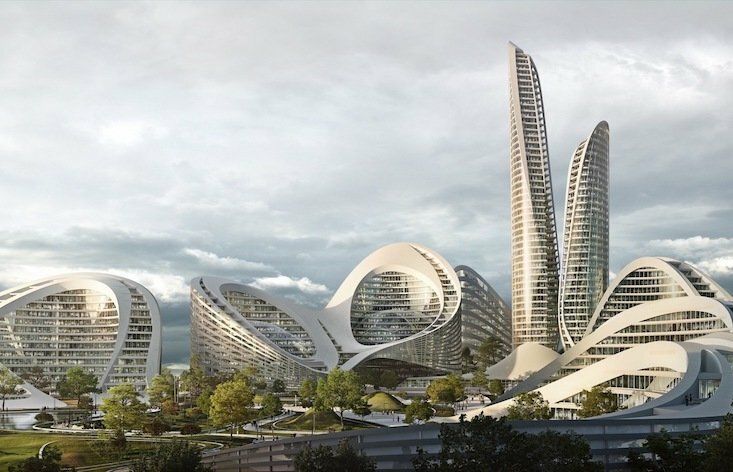 British design firm Zaha Hadid Architects has revealed plans for an eco-friendly smart city just outside of Moscow. Built on the Moskva River to the west of the Russian capital, Rublyovo-Arkhangelskoye will cover some 460 hectares, with 4 million square meters of new buildings. Zaha Hadid Architects will lead the work in collaboration with Russia-based TPO Pride Architects. The company say they want the suburb to be a “global benchmark for smart, sustainable cities.” As well as integrating electric mobilities, services, and smart tech into the city’s urban fabric, there will also be a strong focus on the local environment, with more than over one-third of neighbourhoods being given over to parkland and forest.